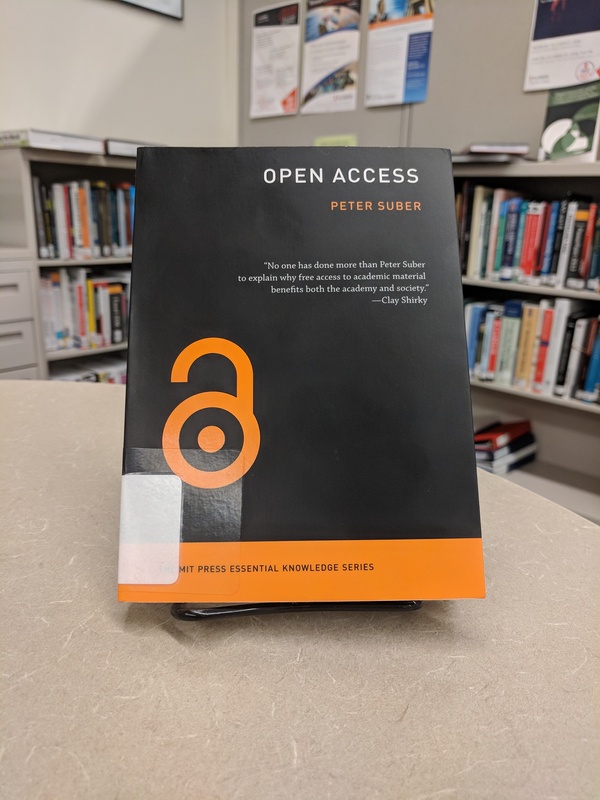 This article was written by Scholarly Communication and Publishing Graduate Assistant Treasa Bane and Copyright Librarian Sara Benson. The ruling in the Georgia State University copyright case will have ramifications for rights holders and library users across the United States. If libraries have the most gain, libraries will have more guidance in making fair use decisions—at least with respect to online course reserves. But, if publishers have the most gain, they will gain more control, and annual academic licenses from the CCC will become more important and costly. However, making any sort of correlation or conclusion has proven to be difficult in this case, which has been alive for nine years strong. In April 2008, Cambridge University Press, SAGE Publications, and Oxford University Press filed suit against Georgia State University (GSU) for “pervasive, flagrant and ongoing unauthorized distribution of copyrighted materials” through the library’s e-reserve system (Smith 2014, 73). When a drafted federal court complaint letter regarding uncontrolled digital copying was sent to about a dozen institutions indicating the complaint would be filed unless they contacted lawyers representing the Association of American Publishers, several institutions complied by adopting policies at the faculty senate level, but GSU did not (73). GSU said the excerpts were short and were not substitutes for textbooks; this practice was fair use. Publishers had a problem with this, saying large numbers of readings reproduced in a systematic way was not fair use. On May 11, 2012, Judge Evans at the District Court found copyright violations in only 5 of 99 excerpts, finding that the university’s policy was a good faith interpretation of fair use (Smith 2014, 80). Judge Evans rejected the 1976 guidelines for classroom copyright; she introduced an amount of work that is “decidedly small” (79). And then on August 10, 2012, Evans rejected the plaintiffs/publishers’ severe injunction, requiring them to pay GSU’s attorney fees, which were over 2.9 million (81). The publishers were not pleased. They appealed the District Court of Northern Georgia’s ruling to the Eleventh Circuit Court of Appeals, and on October 17, 2014, the Eleventh Circuit Court of Appeals reversed and remanded the District Court’s decision in favor of the publishers (81). On March 31, 2016, the Judge Evans reanalyzed the allegedly infringing works according to the directions of the 11th Circuit Court of Appeals and found 4 cases of infringement among 48 works, designating Georgia State the prevailing party (Smith 2014, 89). The publishers filed again in order to collect evidence about GSU’s practices because they need to know the most current conduct at GSU when dealing with the four infringements. This time, Evans estimated the weights of the four factors. Factor one, the purpose and character of the use: 25%. Factor two, the nature of the copyrighted work: 5%. Factor three, the amount or substantiality of the portion used: 30%. Factor four, the effect of the use on the potential market: 40% (2016). Evans pointed out that there was no case for copyright infringement because the publishers could not show they held the copyright, and there was no evidence that any students had used the excerpts. 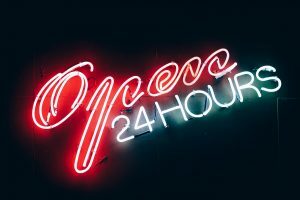 Another finding was that GSU’s e-reserve service was a fair use of copyrighted material purchased by its library; it was modeled on a broad consensus of best practices among academic libraries. We want Georgia State University (and any university that seeks to emulate Georgia State University) to change their checklist to something reasonable and legal. … We want to make it really clear to our marketplace, which are academic institutions in the US in this case, that there is no difference between copyrighted content made available in digital format or that made available printed on paper when it comes to licensing it. More recent analysis has given factor four additional weight and factor two less weight. In instances where permissions were available and not paid, factor four strongly disfavored fair use. In cases when factors one and two favored GSU and three and four favored the publishers, a tie was created, and the court then considered the evidence of damage to the market. As a result, an overwhelming number of the cases found factor two to be neutral or in disfavor of fair use. Factor three and four were also disfavored several times. At least 4 excerpts did not favor fair use overall; however, at least 19 did favor fair use, the majority of which favored factor one, then factor four, and then factor three (2016). 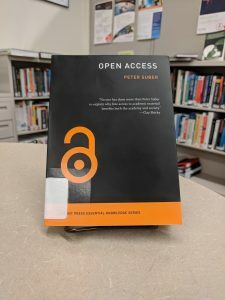 In order to stay relevant and maintain the same monetary expectations they had with print materials, publishers are damaging their relationship with libraries. This leaves librarians no choice but to seek other alternatives, such as open educational resources and library publishing. But more importantly, as long as librarians practice fair use, they will not lose it. Fair use is a right. This case, which is now referred to as Cambridge University Press et al. v. Patton and Cambridge University Press et al. v. Becker (individual academics rather than GSU as a whole), will hold oral arguments through the 11th Circuit Court on July 27. As this date approaches, we should consider whether the demand for excerpts was so limited that repetitive unpaid copying would have been unlikely even if unpaid copying was a widespread practice. Additionally, we should consider whether the portion of the market captured by unpaid use was so small that it would not have had an effect on the author or publisher’s decision to produce work. Proving these will result in a stronger pull for fair use factor four and would therefore favor GSU’s academics and librarians, which would be a win for all educational institutions. Cambridge University Press et al. v. Becker, Civil Action No. 1:08-CV-1425-ODE (U.S. Dist., March 2016). National Association of College and University Attorneys. Cambridge University Press w. Georgia State University: The 11th Circuit Ruling. Kevin L. Smith. October 2014: 87-91. Redacted from the Scholarly Communications @ Duke Blog. National Association of College and University Attorneys. Georgia State University Copyright Lawsuit. Kevin L. Smith, J.D., MLS. 73-85. Many people use Evernote to keep their research (and life) organized. 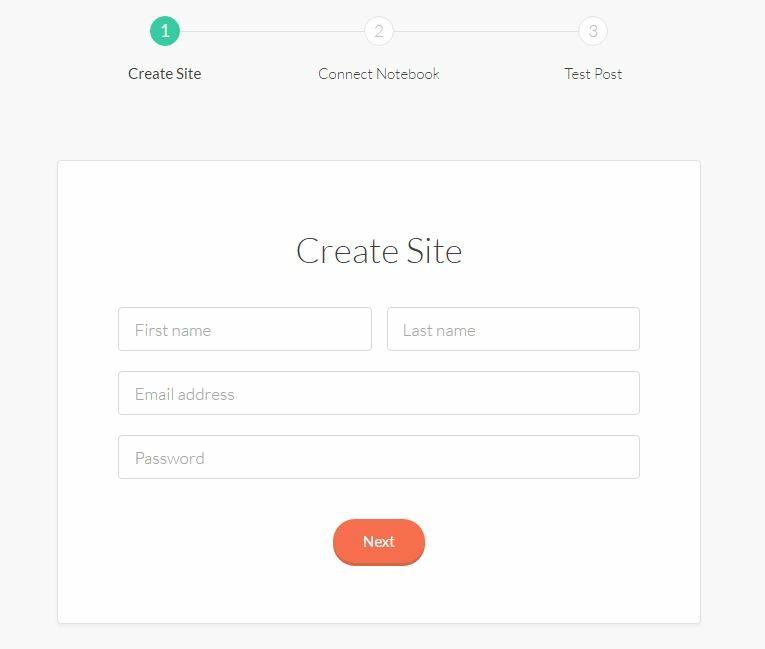 This notebook-based note-taking platform has grown in popularity so much, that the creators of Evernote created Postach.io, a blogging platform that connects with Evernote, and uses Evernote notes as the content of blog posts. Basically, you can take the notes you’ve created in Evernote and directly publish them for anyone to see! If you’re someone who is already familiar with, and using Evernote, Postach.io may be a great, free platform for you to get your research out there. While it doesn’t have the same kind of customization options that you can have on WordPress or Tumblr, nor the built-in audiences of those sites, its simplified style and integration with Evernote makes it a useful tool, especially since Postach.io is free, and only requires that you have/create an Evernote account. To start, you must link up your Evernote account with Postach.io. After submitting your contact information, the site will automatically transfer you to Evernote. The first step to creating a Postach.io site is to give your name, email address, and password. The Evernote page that Postach.io links you to. Evernote will then ask whether you’d like to create a new notebook for your Postach.io site, or link to a notebook already in use. Note that linking to an already-created notebook does not automatically make your notes public. Each note on the site must have a ‘published’ tag attached to it to in order to be public. I’ll have more on that in a little bit. You can also choose the length of time Postach.io will have access to your notebook. Lengths range from a minimum of one day to a maximum of one year. 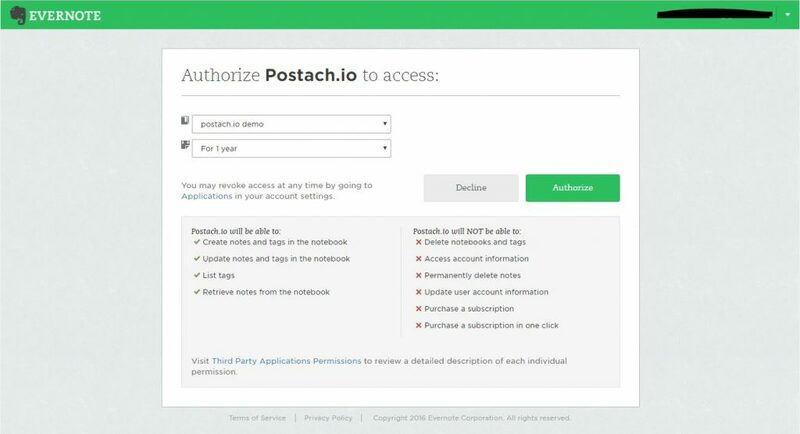 After that period, Postach.io will either lose access to that notebook, or you will have to reauthorize it. After you authorize your account, you will have the opportunity to create an Evernote note that will serve as your initial Postach.io post. The most important part of this process is tagging the post as “Published.” A note that lacks this tag will not be put on your Postach.io site, even if it’s in your authorized notebook. Me adding my “published” tag to ensure that my post is added to my Postach.io site. 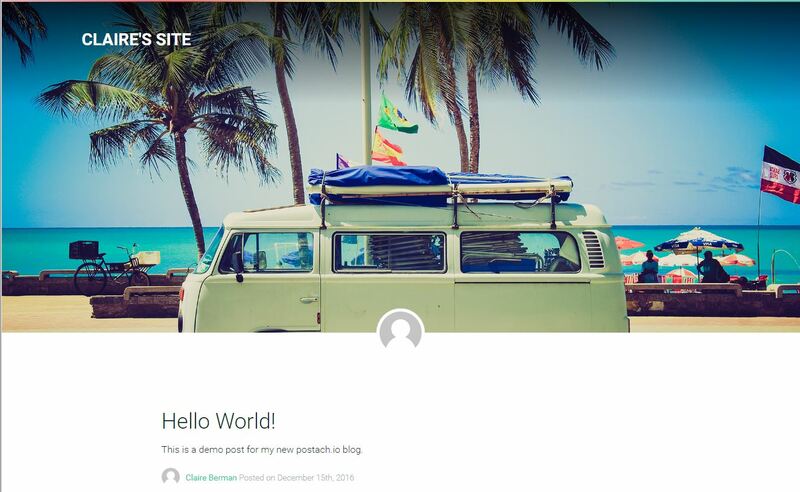 Once you finish and tag your post, your Postach.io account is officially up and running. You do have the option to change your avatar and background image, as well as choose from a little over a dozen themes to work with. These themes, however, are all incredibly basic, with few customization options outside of the basic appearance. In order to access the source code for your site or to create a custom theme, you will need to upgrade your account to a paid account. A paid account will let you access that source code, as stated above, as well as create multiple sites. With a free account, you can only have one site at a time. $5/month gets you five sites, $15/month will get you twenty sites, and $25/month will give you fifty. If you pay for an entire year in advance, you’ll get two months out of the year free. In my opinion, you’re better off using a free platform like Tumblr or WordPress and transferring your Evernote data than opting for a paid account. Overall, Postach.io is a simple way to get work that you’ve already started in Evernote published and readable by the world. Do you think you’ll use Postach.io? What blogging platforms do you use? Let us know in the comments, or Tweet us at @scholcommons!